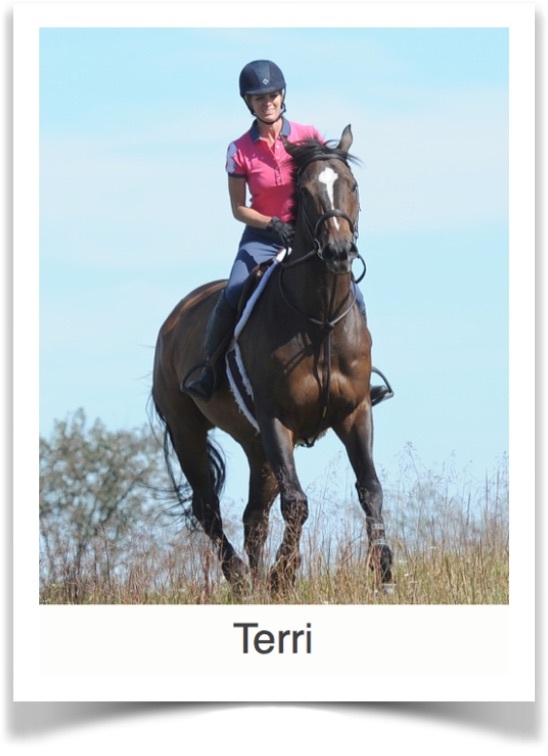 An avid equestrian since early in her youth, Terri recalls the trauma that changed her life in June 2012. She was riding her horse and noticed that he was particularly edgy that day. She decided to take him back to the barn and began to dismount. As she did, her horse bucked wildly and she was totally spun around mid air, landing her traumatically on both feet. Immediately on impact she felt her right ankle explode. After using her cell phone to call for help, Terri lay waiting on the ground for forty five minutes. Once she arrived at the local hospital, Terri’s ankle had to be relocated without the benefit of anesthesia due to the absence of a pulse in her foot. She was then moved to another hospital that would be better able to manage her surgical needs. Terri’s ankle was re-set and the following day she underwent her first surgery to place an external fixation device. It was then that seven fractures were discovered. However, due to the extensive swelling, she would have to wait for the necessary corrective surgery. Three weeks later, Terri had her next surgery. Twenty eight screws, four plates, and a rod were placed in her lower leg, foot, and ankle to stabilize her fractures and maintain proper alignment. She was placed in a soft cast and later a boot, non weight bearing for four months. Her doctor wanted her to start physical therapy quickly to initiate range of motion and manage pain and swelling. Terri was given several recommendations from friends who had received physical therapy at Blaser Physical Therapy and, trusting their advice, she chose Blaser Physical Therapy. Terri remembers being terrified for anyone to touch her leg, but she was immediately relieved to discover a wonderfully caring and non threatening environment at Blaser Physical Therapy. She received what she defined as “true empathy.” Her physical therapist reassured her every step of the rehabilitation and was a caring listener. Terri remembers how important this was for her. Once Terri was allowed to bear weight on her leg, her physical therapist worked patiently with her to reassure her that her abnormal gait was completely expected at this stage. Terri attributes her success in returning to a normal walking pattern to the process her physical therapist used to break down the walking process so she could understand how to correct her poor gait.